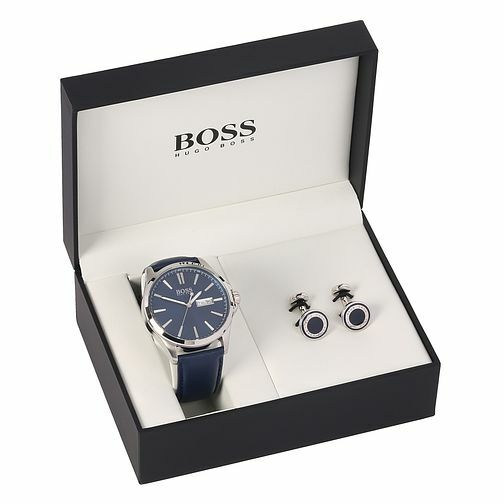 This gift set from Hugo Boss features a matching watch and cufflink set, styled in blue and crafted from stainless steel and marked with the iconic Hugo Boss emblem for lovers of fashion-forward sophistication. Hugo Boss Men's Blue Cufflink & Watch Set is rated 4.0 out of 5 by 1. Rated 4 out of 5 by Anonymous from Lovely set Simple face and elegant strap. Well presented and delivered on time.